Update: Tickets are sold out! 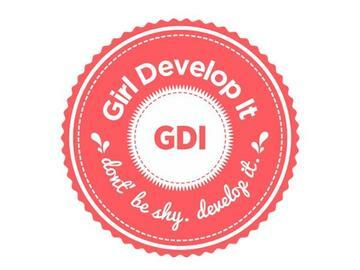 Tweet at us @GDIPhilly or check the #gdiparty hashtag to snap up those last-minute cancelations! Girl Develop It Philly is getting its nerd on and celebrating its 1st birthday and gigabytes of success. Join us for a night of music, games, contests and surprises. Our calculations show that there will be megabytes of free food, drinks, and cake so get your tickets today so that you can do the Mr. Roboto with fellow nerds as we celebrate the growing women in tech community. Parking: There’s plenty of parking in Northern Liberties. Look for street parking around 3rd Street and a free lot near the Piazza at 2nd and American. Cost:100% of your admission fee goes towards TechGirlz, an organization that educates middle school girls about technology through fun, interactive workshops and events. This is one of the few organizations focused on rectifying the women in tech disparity and your donation will surely leave an impact. Of course, it's tax-deductible as well! Think "Ugly Betty" in terms of attire for a chance to win our “Nerdiest” Dressed award (trust us, it will be worth it -- check out the prizes below) but we also welcome you to come straight from work and grab one of the geek glasses we'll be giving out. Everyone (all 100 people attending) are getting a free personal hosting plan from WPEngine.com (worth $290/year) for life!